The non-amateur hour version of YouTube is going away, and current subscribers will get a refund for all of October. 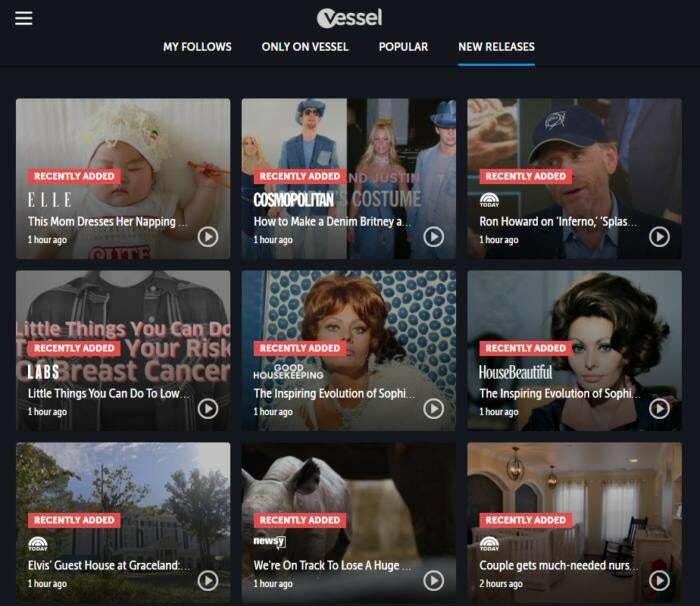 Video site Vessel is shutting down less than two years after the service became publicly available. The company, headed by former Hulu CEO Jason Kilar, was acquired by Verizon for an undisclosed sum. As a result, Vessel will shut down at the end of October, the company announced in a blog post. Subscribers who paid $3 a month to get the site ad free will receive a refund for the month of October. iTunes subscribers will have to contact Apple to get the refund. Vessel wanted to provide an alternative to YouTube as a place to view, well, YouTubers who have big followings and higher production values. Instead of highly-produced videos interspersed with hilarious cat videos caught on a low-grade smartphone camera, Vessel is stacked with content from independent producers like Machinima, Nerdist, SeaNanners, and Tested, as well as more mainstream content like Discovery Channel and National Geographic. A Verizon executive told Recode the mobile carrier bought Vessel to jumpstart its digital entertainment efforts. Verizon plans to use some of the social features Vessel was working on, as well as look at Vessel as a model for morphing its own free services into paid subscriptions. The impact on you at home: If Vessel was your main source of videos it looks like it’s back to YouTube for you. Unless you’re a Verizon subscriber in which case Vessel or something similar may appear as an option for you relatively soon. It’s also possible that Vessel content may show up in Go90, a similar video streaming service from Verizon, but that is just speculation.